Amphetamines, uppers, have been around for years. They are potent and highly addictive. It began with amphetamine products like Benzedrine, which was used for nasal congestion. This writer recalls buying “bennies” over the counter and using them to stay alert during graveyard shifts at work. Amphetamine is also used to counter the effects of Attention Deficit Hyperactivity Disorder (ADHD), by giving the patient a stimulant to calm him/her down. The risk of amphetamines lies in their rather practical use. If you need to stay awake and study for a test, or if you need to drive long hours, or if you must be alert and ready during hours you would normally be resting, the amphetamines are handy. But they are easily abused. Names like Dexedrine and Methedrine were widely used for this purpose. Even athletes have used them to gain that edge during a game. Today we see Adderall on college campuses as a favorite of those trying to cram for exams. We also see methamphetamine, which is manufactured in small batches in illegal labs. The rise in methamphetamine addiction has been alarming. When the therapeutic of practical use goes too far, when the user is no longer in control of his/her behavior but must seek the drug and chase the high, when choice is no longer an option, that is addiction and treatment is necessary. There are still reasonable, highly effective and medically necessary uses for amphetamine. We will not go into those reasons for using the drug. Rather, we will focus on the abuse and addiction to amphetamines. 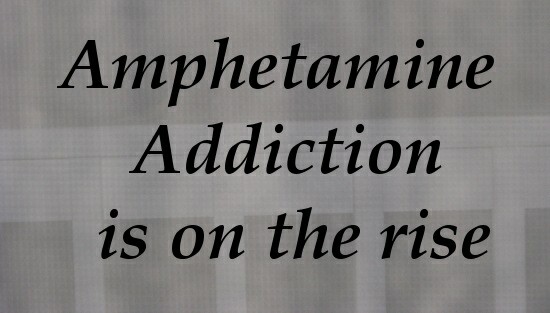 Amphetamine addiction treatment begins with the addict admitting he/she is an addict. That sounds obvious, but in most cases the addict is the last person in the room to realize there is a problem, and so it becomes necessary for family, loved ones and concerned friends to take action and collectively help the addict come to this important realization. Sometimes this is accomplished by constant pressure or encouragement, and sometimes it is best handled by a professional interventionist, who will handle the entire sequence of events and orchestrate everyone’s part in it. In either case, getting the addict to treatment is the first task. Always remember that “you can lead a horse to water, but you can’t make him drink,” and this is especially true with addicts. They can refuse treatment, fight against treatment, block out treatment, walk out on treatment and of course they can claim that treatment does not work. It is far easier to use than it is to quit, and the excuses come frequently. In most cases one of the first treatment procedures is to take the patient through medical detoxification, which rids the body of the chemical. A trained team of medical professionals will take the patient through this process. Amphetamine detoxification is not a dangerous procedure, unless the addict is also addicted to alcohol, in which case the withdrawal is potentially fatal and detoxification is an absolute must. Usually addicts feel rather poorly during this time, but it’s necessary and helps to prepare them for the treatment program ahead. Some folks get confused and believe detox is treatment, but it’s just the beginning. Once the body has been purged of the amphetamine, and it really doesn’t matter which amphetamine the addict has been clinging to, he/she is ready to begin the process of rebuilding their life. Addiction is a brain disease and the chemical has caused the individual to do crazy things, think thoughts they otherwise would not think of and in general, has taken its toll on the emotions, thought process and general state of health. The psychological effects of amphetamine addiction, and we see this especially with methamphetamine addicts, can be devastating and so the counseling and therapies are designed to reconstruct the thought process. Cognitive Behavior Therapy (CBT), 12 Step are solid options for amphetamine addiction treatment. We are all body, mind and spirit and as such all three areas require attention. This process is accomplished in both group and individual sessions, as people learn to deal with their addiction, which cannot be cured but can be managed effectively. The 12 Steps are particularly valuable in uncovering the whole person, getting to important personal issues and overcoming the urge to use again, the cravings that amphetamine addicts have as they continue to “chase the high” in their minds. Relapse is a part of the disease, so understand that relapse is a part of treatment. People often ask how many attempts at treatment are necessary. The simple response is as many as it takes. Inpatient and outpatient can both be part of the solution for amphetamine addiction treatment. Treatment options include both inpatient and outpatient settings. Because we are all different and our needs are different, it is important to ask questions and explore the various treatment center offerings before determining which is best. It doesn’t end with a treatment program. People must go into a recovery programs, maybe attend meetings, but by all means avoid the old haunts, friends who use and situations that may cause them to slump. Patient often get depressed once they are off the drug and that can be treated with prescription medications. Amphetamine addicts are in serious trouble of ruining their health, their life and any chance of having a full and prosperous life. Treatment is not just an option, but the only option. Left untreated, amphetamine addiction can send a person to an early death or miserable health complications. Every effort should be made to get the addict into treatment. That completes our page on Amphetamine Addiction Treatment please visit our home page for more or return to Crystal Meth.